There is such a wide choice of materials for doors that it can be quite confusing. 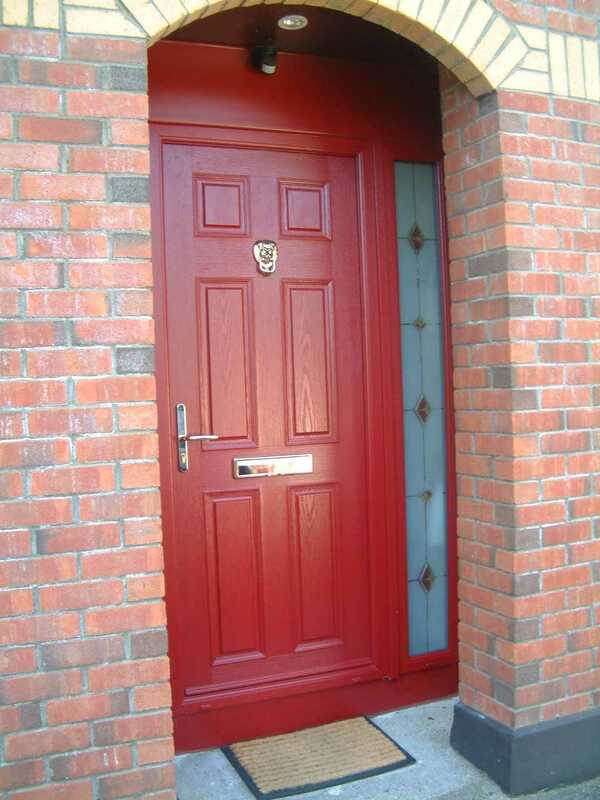 You can have a front door made of wood, aluminium, steel, PVCu, glass reinforced plastic (GRP) or composite materials. Some are new designs, and some are traditional ones, but all exterior doors need to meet a wide variety of criteria. Composite doors are the most effective all round because they are made from different materials, each matched to its function. A front door generally needs to offer a high level of security, and a high level of insulation. You also want your doors to look nice, and to retain that appearance for many years. Composite door can do all of these things well. For example, the frame can be made of a very strong material, the panels can be made of a material that provides the appearance you require, while the core can be designed both to provide good insulation and add to the stiffness. Generally, a composite door consists of a frame, outer panels, and a core. The frame provides the strength needed to support the door and to carry the locks and hinges, while the outer skin needs to be strong enough to prevent an intruder breaking in, and also needs to look good. The core provides the insulation needed to meet regulations on heat transfer, and is very important in keeping a house warm in the winter – it is all very well having double glazing, but the overall thermal efficiency of the house will be lower if you retain old doors which do not fit well, and are made of traditional materials. The outer panels are either glass reinforced plastic mouldings or thermoplastics, or the core is either high density polyurethane foam or wood, which some makers use as it is a material with which they have a lot of experience. As a general rule, polyurethane foam will provide better insulation. Some of the best doors have GRP panels and frames, which have steel reinforcements, and a polyurethane foam core. The steel reinforcements provide extra strength where needed. Some composite doors have a monocoque construction. This means that the frame and panels are integrated in the same way that they are in a modern car body. The advantage of this construction is that the door is not too heavy, but can be designed with the strength exactly where it is needed. The front and rear panels are reinforced with a GRP structure, and these are all bonded together to make the monocoque structure. You don't need to be concerned about the strength of GRP doors so long as they have good security ratings as the basic mouldings can be very strong. GRP panels are still used on many expensive cars owing to their strength and light weight, and GRP monocoque car bodies have been built successfully. Some door manufacturers use steel frames to carry the locks and hinges, others use wooden or GRP frames. This depends largely on their background and manufacturing facilities. Most leading makers of front doors offer double or triple glazing for the windows so that both security and insulation are increased. Of course any modern door should be available to hang on the right or left side of the door, to swing inward or outward, whichever is needed. You should also make sure the doors you buy have security locks and high energy efficiency.